Netflix has released the first trailer and poster for its upcoming documentary on legendary record producer, singer and film producer, Quincy, which can both be viewed below! Jones is one of only 18 people who has won all four major annual American entertainment awards (Emmy, Grammy, Oscar, Tony). He is the most Grammy-nominated artist of all time, with a total of 79 nominations, and has won 27 times (the second all-time highest number in history.) As producer and conductor of the historic “We Are The World” recording (best-selling single of all time), and Michael Jackson’s multi-platinum solo albums, “Off The Wall,” “Bad,” and “Thriller” (the best-selling album of all time), Jones stands as one of the most successful and admired creative artists/executives in the history of the entertainment world. In 1985, Jones co-produced Steven Spielberg’s adaptation of Alice Walker’s The Color Purple, which garnered eleven Oscar nominations and marked his debut as a film producer. Throughout his career, Jones has received seven Oscar nominations and received the film Academy’s Jean Hersholt Humanitarian Award. Jones has won an Emmy Award for his score of the opening episode of the landmark TV miniseries, Roots, and in 2016 he received a Tony Award for Best Revival of a Musical for The Color Purple. Quincy is produced by Paula DuPré Pesmen and executive produced by Jane Rosenthal and Berry Welsh from Tribeca Productions and Adam Fell from Quincy Jones Productions and is set for release on Sept. 21. 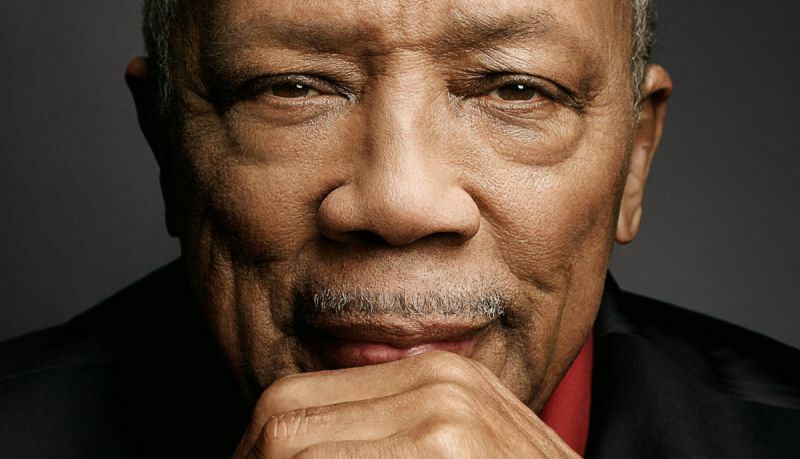 The post First Trailer and Poster For Netflix’s Quincy Jones Documentary Released appeared first on ComingSoon.net.